You may have read about the benefits of rice water, but you have never seriously thought about it. Rice water is too easy to find so many people never believe that it can be used as a remedy. But in fact, rice water is one of the cheapest home remedies for skin and hair. So can you use rice water for hair growth? This article will help you to know more about the benefits of rice water, and answer the question. Rice water is made when you soak rice before cooking. The water left after straining the rice is the rice water that can be used as remedies. Because of the starch residue remains after straining rice water, the liquid has a milky white color. The reason why rice water is an effective remedy is the content of mineral and vitamins of the starch residues. 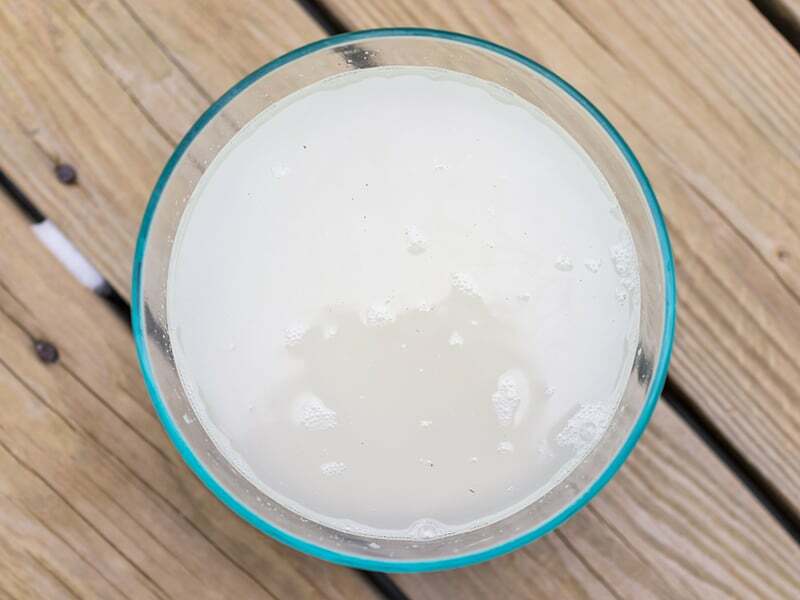 Besides using rice water to rinse the skin and hair to take care of them from the outside, people also consume it by drinking it daily for better health. Rice water is made when you soak rice before cooking. Particularly for hair health, rice water helps boost hair growth and keep hair smooth and healthy. Besides, using rice water helps enhance the blood circulation, make the skin cool and fresh for a younger look. There is still no clear proof to back up the claim that using rice water can boost hair growth. Studies found that how fast our hair grows depends on genetics. However, rice water can still nourish our hair very well with its richness in nutrients, even though we cannot see its effects on promoting hair growth. By using rice water, we can strengthen hairpieces, hair strands and cure the damages and remove split ends. With the high content of nutrients, our hair is nourished well and become smoother, thicker with fewer tangles. With the high content of nutrients, our hair is nourished well and become smoother, thicker with fewer tangles. 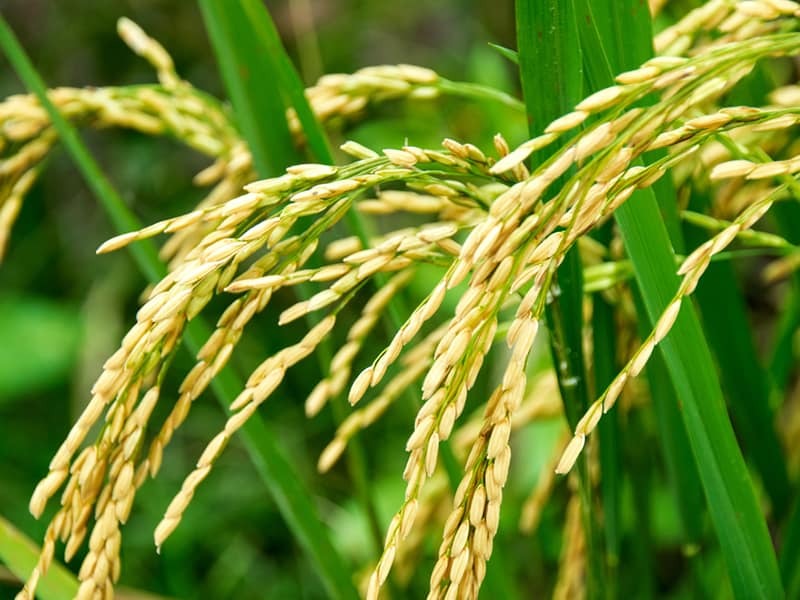 Realizing the benefits of rice water, many manufacturers choose to add rice water extract into their hair care products. Those products for hair growth can be preferable if they contain rice protein or substances of fermented rice water. To boost the effect on hair growth, you can add some extra remedies like silk proteins, shea butter or coconut oil into the products containing rice water extract. Everyone will have their hair grow as a gradual process. 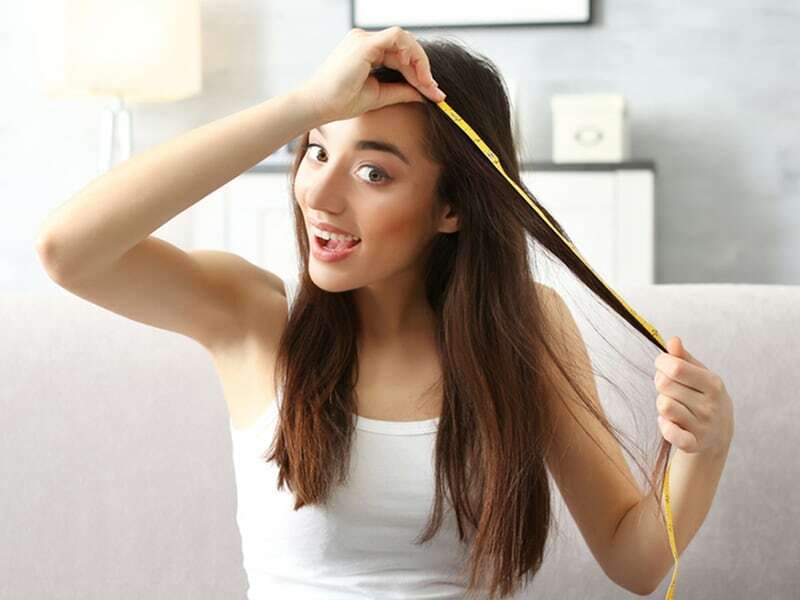 The hair growth speed can be different in one person to another, but it will become more or less, even though you do not use some special treatment. If your hair grows more slowly than others, you can ask an expert to know a safe method such as using rice water to boost hair growth. Although there are several types of rice water, people often know the two most popular brands: plain rice water and fermented rice water. So what makes them different? Experts claim that fermented rice water is more beneficial for your hair, as its pH level is lowered to hairs during the fermentation. With that condition, fermented rice water acts as a stimulant to close hair cuticles and take care of hair health. On the opposite, plain rice water has a higher pH level compared to your hair. Besides, fermented rice water helps the hair healthier by providing more nutrients and vitamins to nourish it. If used regularly as a hair mask or hair rinse, fermented rice water boosts the hair condition generally. There is a nutritious substance called “pitera” to be formed when you ferment rice water. This substance contains organic acids, amino acids, minerals, and vitamins. With the effect of “pitera,” the hair cells will be quickly generated and form healthier hair. So compared to plain rice water, fermented rice water enhances the benefits for hair health and boosts hair growth better. Based on the pH level of your hair that you can choose either to be suitable for your condition. Cooked rice water is the excess water that is left after you cook rice. This concentrated liquid can be used to rinse the hair and wash your face clean while providing nutrients to nourish your hair and skin. This is how you can get cooked rice water. Pour more water than necessary into a pot of rice and cook the rice. You can wait until the rice is well prepared or strain the excess water when it boils. Boiled rice water gets more starch substances from rice, so it provides more nutrients for a hair rinse. So how to use cooked rice water for hair growth? You can do this. Mix some drops of essential oil (chamomile, lavender or rosemary) into boiled rice water. Rinse your hair with boiled rice water solution which has been prepared. Let it be for 15-20 minutes. Massage the scalp and hair length with fingers and rinse off with plain water. You may wonder “how often can I use rice water for hair growth?” For the best result, you should repeat this once a week to help your hair healthy and boost hair growth effectively. To make fermented rice water, you need to keep rice water for a particular period for fermentation. During this process, the water turns to be solid. Thus, if you want to apply fermented rice water for hair growth, you need to dilute it before use. This is how you can use this remedy. In 2 cups of water, soak ½ cup of rice for 15-30 minutes. Strain the excess liquid into a jar and store at room temperature for a couple of days. When it has a sour smell, it is fermented, so you stop the process and move the jar to store in the fridge. When applying it for hair, dilute in 1-2 cups of warm water. To get more benefits from fermented rice water, you can combine with mustard powder. Blend mustard powder into fermented rice water to get a smooth paste. Drops a little olive oil into the paste and mix thoroughly. Coat your scalp with this mixture but do not spread through the hair length. Cover with a shower cap for 20 minutes. Can you drink rice water for hair growth? There is no science behind that drinking rice water to boost hair growth, but it can increase the functionality of your digestive system. On the other hand, you should also consume foods which are rich in fiber to benefit your health. Besides, the combination of rice water and coconut oil for hair growth treatment. Coconut oil can decrease the risk of inflammation thanks to the content of anti-inflammatory properties. However, because coconut oil can clog the scalp pores and increase the risk of acne or folliculitis, you should consider before using this remedy. 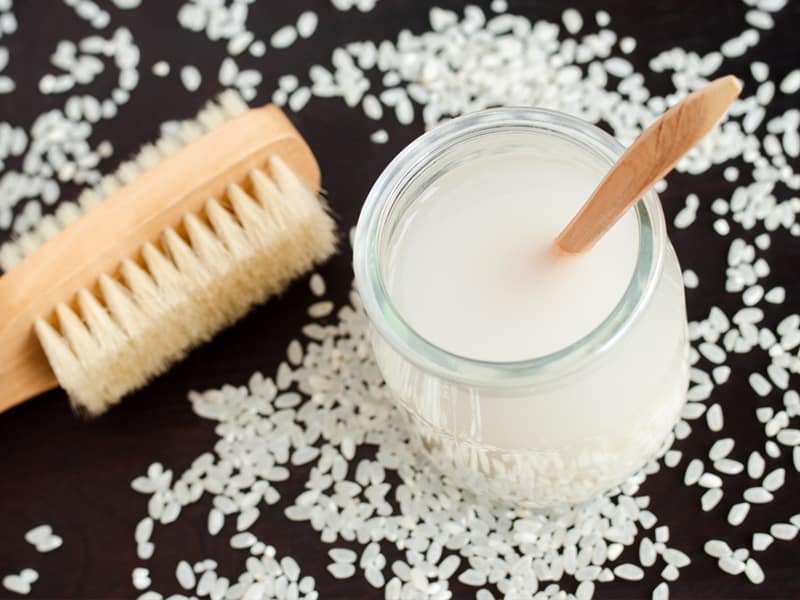 Rice water has been considered one of the friendliest and most effective remedies for skin and hair care. You should not waste excess rice water when cooking anymore. Instead, save the rice water for hair growth, try it on and see how it changes your look and your health.